When life gets busy or money gets tight, it is easy to put off dental hygiene appointments. Many patients view these appointments as “just a cleaning.” Conversely, your dental hygiene appointment is much more than that! Dental cleaning appointments involve more than just cleaning teeth. Your cleaning appointment is really an oral health appointment. The following includes what takes place at this appointment and why it is so important to have regular oral health exams. It is important to know what is going on with your whole health when you come in for your dental hygiene appointment. There are many medications and conditions that affect your oral health and many patients do not realize this. Discussing your medical history also allows us to make sure the patient is keeping up with their healthcare needs. Periodontal disease has been linked to heart disease, stroke, diabetes, and some cancers. It is vitally important to your overall health to check for periodontal disease and treat as needed in a timely manner. When your teeth are cleaned, bacteria and biofilm are disrupted and removed. 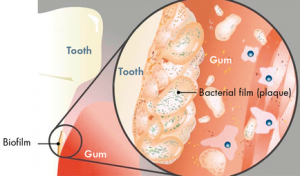 These bacteria are responsible for decay as well as periodontal disease. Your dental hygienist can remove more than your electric toothbrush and floss, no matter how well you use these products. You don’t know what you don’t know! Your dental professional can educate you on areas that need more attention as well as specialized products for your specific needs. Early decay is often symptom-free! Annual check up x-rays and routine clinical exams help detect decay as soon as possible and prevent the need for more complicated and expensive treatment. Almost 50,000 people will be diagnosed with oral cancer every year. Additionally, the death rate for oral cancer is higher than that of cancers we routinely hear about. Early detection is key since the high death rate associated with this cancer is due to the cancer often being discovered late in its development. Dry mouth can lead to increase in dental decay. Many patients do not even realize they have decreased salivary flow until it is discussed at their dental appointments. There are products we can offer to help with symptoms of dry mouth. The staff at Adams and Cheek Dentistry want to help our patients live their healthiest life! Please call us at 919.866.1360 or click here to schedule your dental cleaning-it’s more than just that!